We review the first Samsung Wave, the first phone running Samsung’s new bada operating system. It takes a lot of guts for a company to decide they still want to develop their own smartphone operating system when the market is already saturated with the likes of iOS (iPhone), Android, Windows Phone 7, Symbian, Palm webOS and Blackberry OS. With these mobile operating systems fighting hard for market share and the open-source Android being adopted by numerous phone manufacturers including HTC, Sony Ericsson and Samsung themselves, Samsung’s decision to develop its own operating system, bada, was a gutsy and risky move. Samsung recently gave me a new Samsung Wave S8500 handset to play with (see the disclosure notice at the end of this article). Available free on Pay Monthly tariffs starting from £25/month, it’s the first phone on the market running on the bada operating system and I was hoping it would have given me a taste of what’s to come from bada. 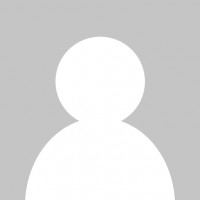 Unfortunately my experience was incredibly disappointing: bada lacked many of the features that you would expect from a modern smartphone, many of the bundled applications failed to work and there were some serious usability issues. As my primary phone, I’ve used a range of phones from different companies including Apple, LG, HTC, Nokia and Sony Ericsson. I look forward to that moment when you turn the phone on for the first time and finally get to play with your new toy – that “new phone” feeling. The best phones should “just work” straight out of the box. You shouldn’t have to do anything to it or pull your hair out trying to work out how to use it. A brilliant phone eases you into the transition to your new phone: it might take you through a tutorial, set up things such as your e-mail accounts for you and show you how to use certain key features. With the Wave, there was no welcome tour, no tutorial, no nothing. It was like being the new kid dropped off at the school gates on the first day… with no idea what to do, where to go and how to get started. The Wave asked me what language I wanted to use the phone in, what the date and time was and then left me on the home screen to figure things out for myself. Even the interface for setting the date and time wasn’t intuitive. Firstly it asked me for the time and then afterwards asked whether I was on daylight savings or not. When I told the phone that I was on daylight savings, it added an extra hour onto the time (the extra hour I had already included as I read the time from my watch). The result of this confusion was an early trip to the “Settings” menu to correct the time. Not a good start. 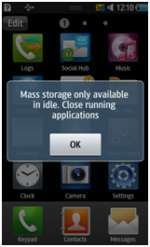 The TouchWiz interface of the Wave is similar to the interface employed by most phones and smartphones. There is an “information bar” along the top with the current time, battery level, notifications and so on. The home screen can be populated with widgets such as a calendar or a world clock. There is a “Menu” button which displays an iPhone-style list of the applications available. Most people should find the interface fairly intuitive at first glance. Unfortunately, there were a few things about the user interface which really got on my nerves as I began to use the phone. The information bar displayed an icon whenever I was connected to the mobile/wi-fi networks (fair enough) but whenever I was using the wi-fi connection (for example downloading webpages or emails), the wi-fi icon flashed. It flashed, and then it flashed some more. And then some more. Whilst it’s nice to know the wi-fi connection is in use, the icon shouldn’t have been so distracting as to distract from the actual task at hand. Another poor choice was to have an icon to indicate the presence of an SD card. This is the first phone I’ve used which has felt it necessary to permanently display an icon to tell me there is an SD card inside. I don’t expect to be removing it or changing it very often (maybe once when I buy a new card). It just becomes a piece of clutter on the information bar. The result of some bad choices in the design of the information bar meant that it was cluttered, noisy and distracting. 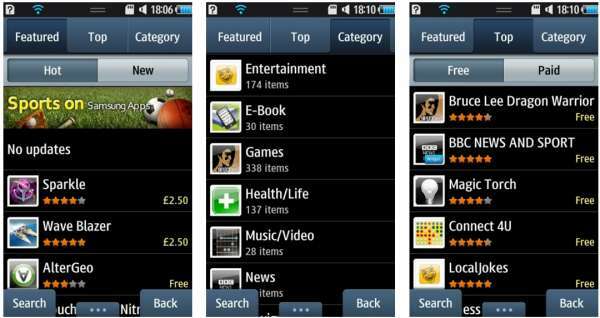 Our advice to the bada team at Samsung is to really consider what users want from their information bar. Does it provide information which is clear and actionable? A battery indicator is useful, a notification of new text messages or e-mails is actionable and demands attention; an indicator about the presence of an SD card is neither of those things. And whilst a flashing wi-fi icon does inform me the network connection is in use, I don’t think the information isn’t important enough to warrant a flashing icon and my constant attention. There were a few other issues with the TouchWiz interface which made the user experience somewhat disappointing. Error messages were often cryptic and always presented the problem – never the solution. If the phone knows how to solve the problem, why not solve the problem for me or make it a little bit easier for me? When the phone displays the error “Wi-Fi and packet data is unavailable”, why not present me with a link to the dialog to set up a wi-fi connection so I don’t need to find the dialog myself? Or when you tell me that I need to close all running applications before connecting the phone to the PC, why not provide me with a one-click button to do close and restore all of my applications? Aside from our complaints about the user interface, I felt the TouchWiz interface was a fairly intuitive interface which most people should get to grips with fairly easily. There were some nice touches such as gestures on the contact list (slide right on someone’s name to call them, slide left to text). The touchscreen was responsive and worked well with the interface. 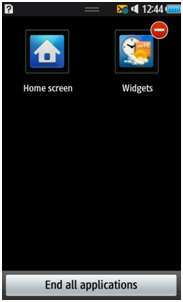 The Samsung Wave allows you to customise your home screen with widgets such a calendar or list of upcoming birthdays. There are 16 widgets available with the phone but we were disappointed that several of the widgets such as Samsung Apps and BBC iPlayer didn’t do anything but serve as a hyperlink to webpages which opened in the browser. Unfortunately the iPlayer widget seemed pointless to me; I couldn’t actually watch anything through the iPlayer website… it gave me the error “You need to install Flash to play [show name]”. At one point, I was able to accidentally closed the Widgets application from the task manager (incredibly easy to do). This cleared all of the widgets from the home screen and forced me to set up our widgets again from scratch. Given how easy it is to accidentally close the Widgets application, I’m sure that a lot of people are going to get confused about where their widgets have disappeared to. The Samsung Wave comes with several apps such as Facebook, Twitter and the Asphalt5 driving game. Asphalt5 is great fun and had intuitive controls – you drive by tilting your phone to go left and right and use the touchscreen to brake/accelerate. Unfortunately I couldn’t get the Facebook and Twitter apps to work. 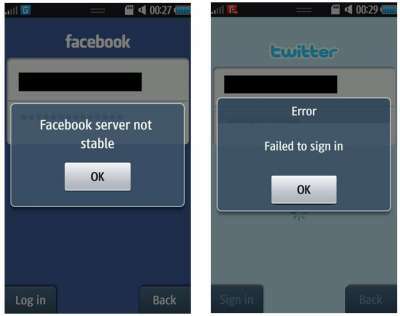 The Facebook app gave the bizarre error “Facebook server not stable” whereas the Twitter application failed to sign in. In both cases, the provided username and password were definitely correct (the Facebook website even reports a successful login from mobile). The Facebook and Twitter applications refused to accept my logins. There is a YouTube application listed in the apps menu but once again this was simply a link to the YouTube Mobile website. Videos from YouTube played fairly smoothly. The Wave has an app store called “Samsung Apps”. There are about 2,000 apps available in the market so unfortunately it’s lacking in selection a bit (Android Market has about 100,000 apps; the iPhone App Store has about 200,000 apps). I was able to download the “Bruce Lee Dragon Warrior” game from app store and play it successfully with no problems. The ‘Samsung Apps’ app store in bada. 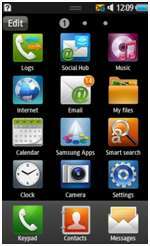 The Samsung Wave comes with a built-in web browser which uses the WebKit rendering engine (the same rendering engine used by the iPhone and Android browsers). On the whole, webpages were laid out well by the browser. However, reading web pages would be a much more enjoyable experience if the browser redrew the page depending on the zoom level. By this we mean that when you zoom in to enlarge text on a webpage, the text is reformatted in such a way that you don’t need to continually scroll left and right. The Samsung Wave allows you to read your e-mail from your phone. It supports email retrieval via Microsoft Exchange, POP3 and IMAP so you can use popular services such as Gmail, Yahoo, Hotmail and your work e-mail. 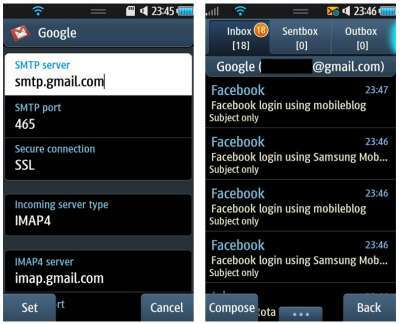 I was successfully able set up my Gmail account with the Samsung Wave. In another piece of usability madness, the Wave asked me to confirm the server settings for Gmail (something for which there is only one correct setting and the average person neither knows nor cares about it). Once my Gmail account was set up, the Wave seemed only to be able to download the subject lines and didn’t seem to download the contents of any e-mails. The Wave notifies you in the information bar when there are new e-mail messages. The e-mail reader in bada. For some reason, only the subject lines could be read. Also, Facebook reported successful logins from ‘Samsung Mobile’ despite the login errors above. The Samsung Wave comes with a built-in maps application which is confusingly named “Navigation”. In terms of the interface, it’s quite similar to Google Maps (scroll to pan, pinch to zoom in and zoom out). The map highlights restaurants, pubs, cafés and bus stops but unlike Google Maps doesn’t provide any information on the establishments such as a rating or a photo. I didn’t like the clunky search interface either which had an individual field for country, town, street and house number as well as a separate menu for “points of interest”. The single search box of Google Maps is a much nicer, more elegant and more natural way to search. We also think it would have been a nice touch to include free turn-by-turn GPS navigation. 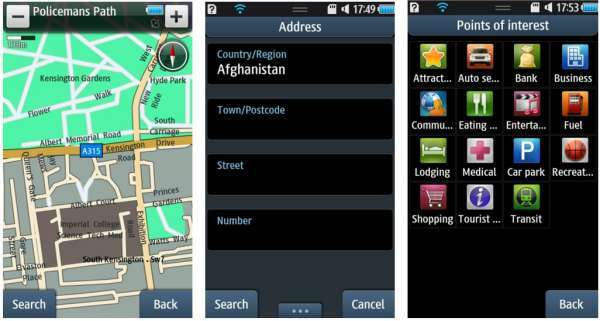 Android smartphones now provide this and Nokia provide it with their free Ovi Maps service. The maps interface in bada. I was able to connect our phone to a computer running Windows Vista by using the Samsung Kies software (126MB download from the Samsung website plus further downloads during installation). However, despite several attempts and reinstalls I was unable to update the firmware on the Wave as Kies prompted me to do. I received the error: “MSC.Thunder.FirmwareUpdate has stopped working”. Quite frankly, I’ve given up trying now… I’ve stayed up until 3am for two nights, searched Google and online forums for solutions, consulted Twitter and I’ve still had no luck. I can’t imagine how the “average user” would fare trying to update their firmware through Kies. The Samsung Wave is a frustrating phone to use. 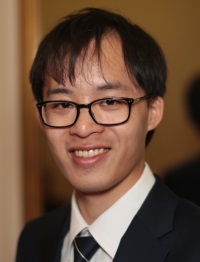 The main thing which lets it down is the bada operating system: there are many bugs to fix and lots of work needs to be done to improve the usability of the operating system and to “hold the user’s hand” just a little bit more. By this, we mean presenting clearer error messages, actionable notifications and a straightforward workflow. Given how bada is a brand new operating system and the Wave is the first phone running on bada, it wouldn’t be fair to be too harsh about it now. Most likely, loads of work is going to be done on bada in the coming months and future iterations will be much better. We hope the team at Samsung will take on board some of our recommendations for bada. 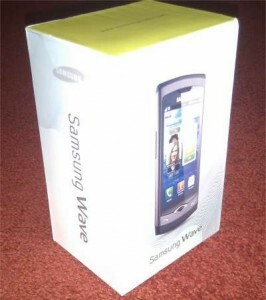 But for the purposes of this review, the Samsung Wave is simply not a phone we can recommend. For the time being, it’s better to stick to a tried and tested solution such as Android which has more support available, more extensive testing and a wider range of applications. Disclosure Notice: As part of the “Samsung Mobilers” programme, Samsung have provided me with a Samsung Wave S8500 running bada OS for review. The views expressed in this article are totally my own and reflect solely my own experiences of using the device. At no point have Samsung attempted to influence the content or conclusions of this review. Great review of Bada but not a lot on the phone itself, how is the hardware? Thanks for the comment 🙂 I decided to focus on the software because for me that is what you interact with on a day-to-day basis and has the biggest effect on my day-to-day experience of using a phone. Hardware wise… it's a decent build and decent specs. Capacitive touchscreen which was responsive, screen looks bright (it's Super AMOLED and you can certainly see the improvement over a phone like the HTC Desire's standard AMOLED) and it's reasonably light and nice to hold. I missed having a back button on the phone (pretty much every other phone I've used has one but it's probably something I can get used to with time). thats a fine example of why I read your posts, keeping it real and true is the best policy for everyone. Thank you.